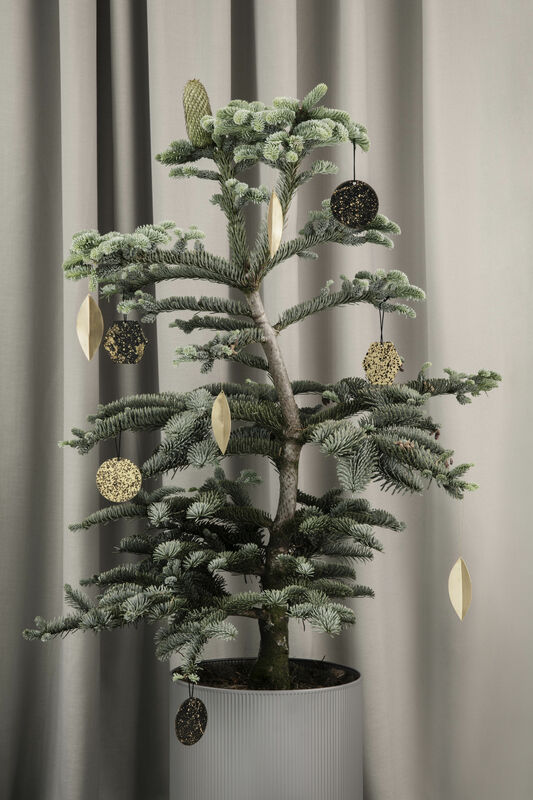 Why not opt for an elegant and modern Scandinavian Christmas? 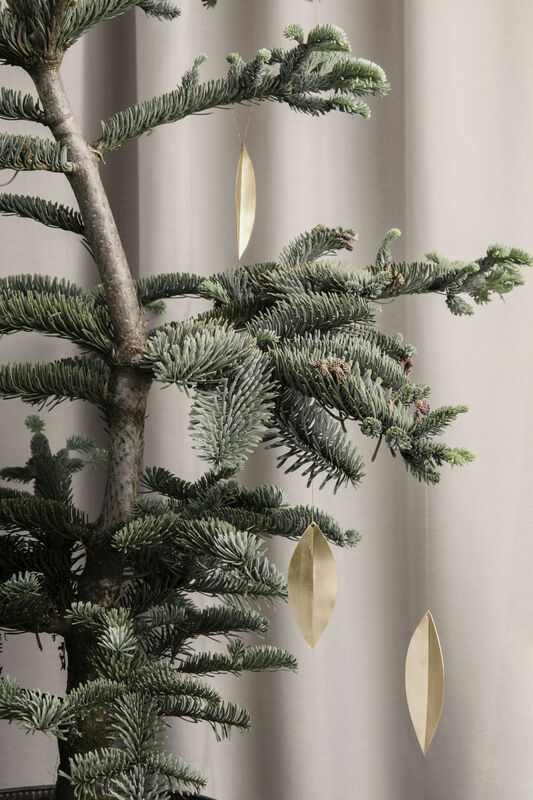 Here, the spotlight is on refined materials and natural shapes, to create a cosy, warm and sober festive decoration. These brass leaves will hang like jewellery from the branches of your Fir-tree by their little strings. 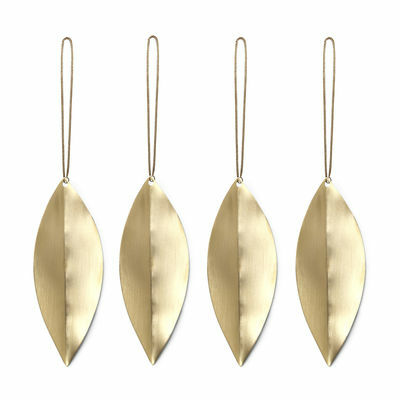 You can also suspend them all over the house! These decorations were designed by Danish artist Leise Dich Abrahamsen.